Comforts of Home Pet Care - Affordable professional in home pet care and pet sitting services available in the grater Palm Harbor area. 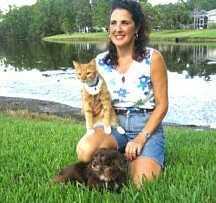 Affordable professional in home pet care and pet sitting services available in the grater Palm Harbor area. We provide first class pet sitting services. If you're not available, we are!